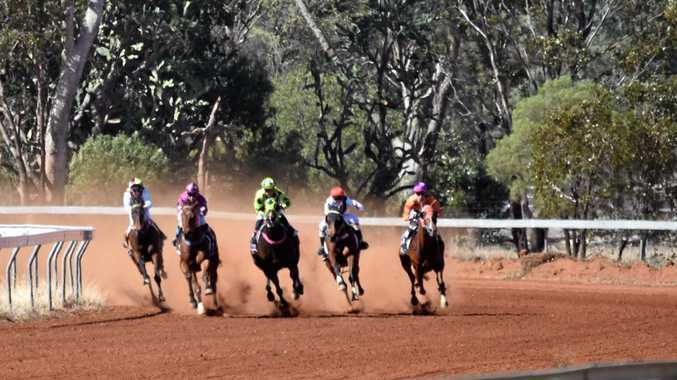 Red dust and a clear day provided a glorious backdrop for the Morven Races, the major local event making up a major part of the 150th birthday celebration for nearby Charleville. Race officials cited a small sprinkling of rain earlier in the week for contributing to the ideal track conditions. Top country apprentice Jessikah-Lee Brand dominated in the six-race program, taking out four wins and a place. Off the back of a winning the Birdsville Cup, apprentice Adin Thompson saw three seconds and a third across the day. Track-side, punters weren't bothered by the red dirt, even on white dresses, and enjoyed the day of exciting country racing. A dramatic occurrence during the second race saw two horses come to the line without their riders, who were taken to hospital after falling. 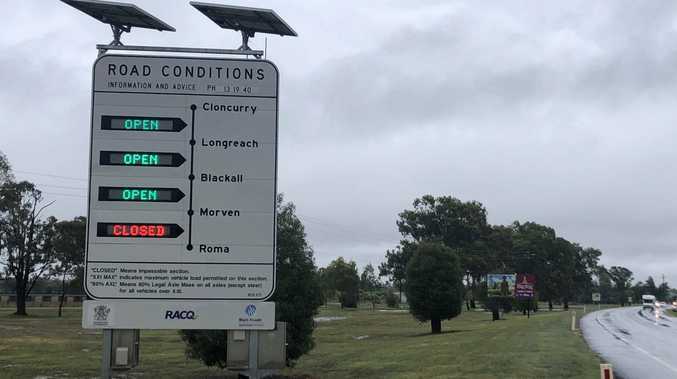 John Rudd and Cheryl Rogers were both concious when paramedics attended to them on the track, and were transported by ambulance to Morven Hospital.